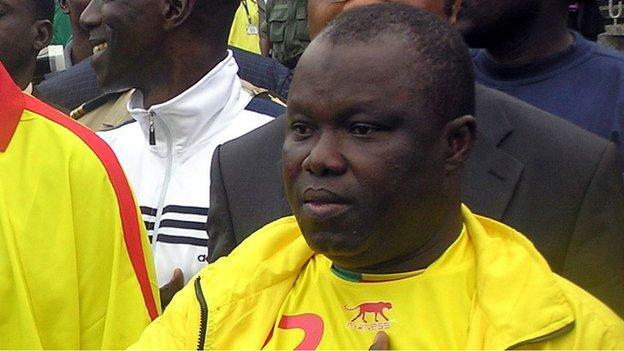 Ten Benin youth players and former football federation president Anjorin Moucharafou have been handed prison sentences for age cheating. September's failed tests saw Benin disqualified from last month's regional qualifying tournament in Niger for the 2019 Under-17 Africa Cup of Nations. The new president of the FBF, Mathurin de Chacus, declared in August when he was elected that he wanted to "put an end to corruption, improvisation and amateurism" in the country's football. He had filed a complaint about the overage players scandal and promised "very heavy" sanctions. What's going on in that part of Africa? First Ghana's Nyantaki, Niger players are going hungry before a qualifier and now Benin. WTF do you think I'm clapping for? Our jails would be overflowing if they tried it in Naija. Is it? I thought it was scientific. Don't mind ANC. But regardless of scientific or subjective, I'm sure the authorities would have done their work and probably find out there was "deliberate" falsification of age and no MRI scan was done or falsified also. We know you an pass at one stage and fail a few months down the line. But it seems that wasn't the case. The were found guilty of lying about their ages in court. Unlike Nigeria that's still playing the fool fiddling with MRI results where we post 40% failure rate on a test that is supposed to be 98% accurate then get academic about it. Seems the Beninois recognize fraud and flagrant attempt at cheating when they see one.